Shorten pour times and increase the life of your machinery with: KO's Polymeric Release Agent 4014: Formulated for equipment using hot asphalt. It creates a temporary, non-stick, protective surface, making application of asphalt quicker and reducing build-up of asphalt on your equipment. Polymeric Release Agent has superb release capability with most types of performance grade binders and is ideal for Superpave designed asphalt. 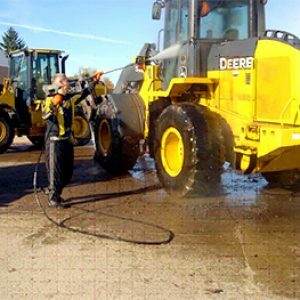 Safe for humans, biodegradable, and non-interfering with the asphalt Polymeric Release Agent is an excellent way to shorten pour times, increase the life of your machinery, and protect your employees from other release agents that are toxic.